First time you start the application you'd be prompt to set the API keys. Should you need to change those you can use shortcut cmd + shift + a. To transcribe Select Media, audio or video you'd like to transcribe. Notifications show when a transcription as started and when it's finished. 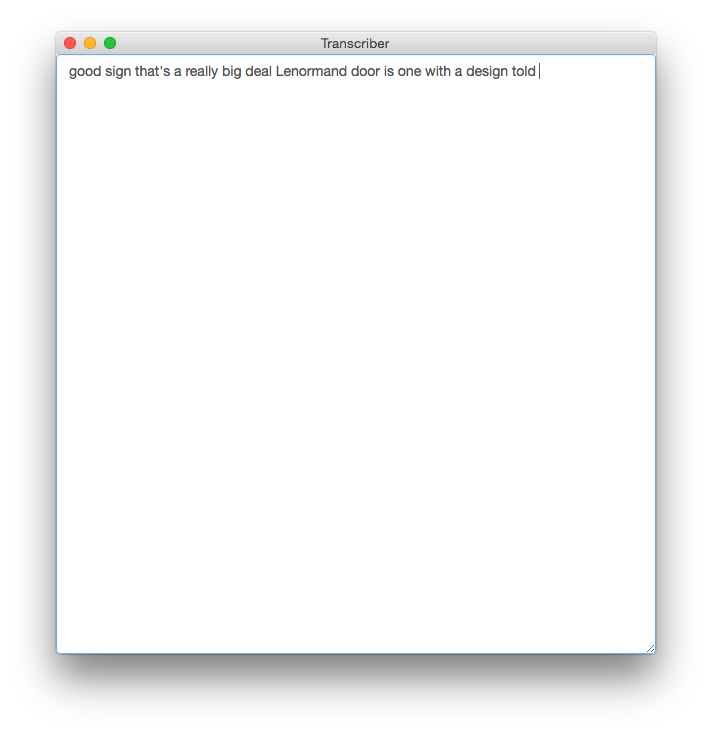 On completion a editable text area shows the transcription.